Lunch Date Success & Crofter’s Winner! My brother is a great Lenten Lunch Date partner because he’s willing to try different things. 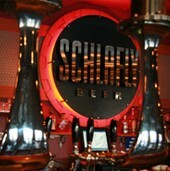 Today we ate at Schlafly Bottleworks, one of the Schlafly Beer Breweries. I’d been for drinks before but never eaten. The menu had some pretty awesome vegetarian options (a restaurant that offers veggie chicken and veggie meatballs in St. Louis? Yes please!) so we both wanted to try it out. 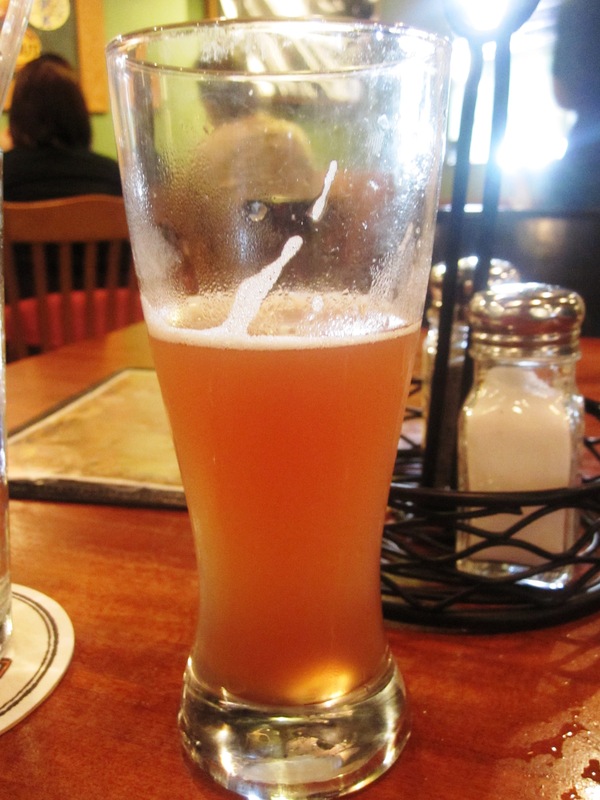 I ordered a half pint of their Raspberry Hefeweizen because I’m a rebel. Apparently now I drink at lunch two days before marathons. I just LOVE Schlafly beer and couldn’t go to the brewery without ordering something! My brother got a Weissbier. I was debating the portabello sandwich, made with a local mushroom, but ended up going with the house made black bean burger. 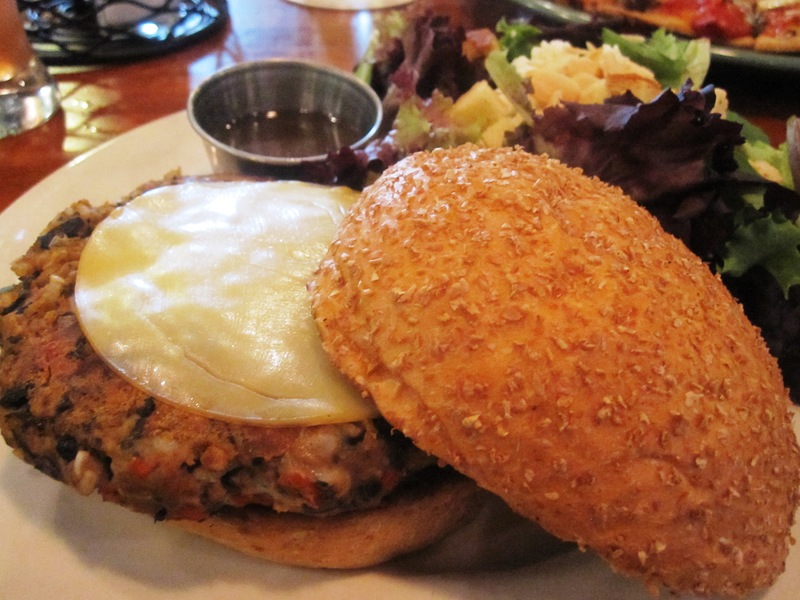 It came with Gouda cheese and was quite honestly the best black bean burger I’ve ever had. It was big and I thought I’d only be able to finish half, but the whole shebang is in my stomach right now and I could not be happier about it. My brave brother ordered a personal pizza with a bunch of veggies and VEGGIE MEATBALLS! So proud. His pizza came out and we were both shocked at 1. how awesome it looked and 2. how huge it was! Definitely getting lunch and dinner out of that $12 meal. He really liked the veggie meatballs, but after stealing a bite it would be impossible not too. This pizza was pretty incredible. I’m slightly jealous that he gets to eat it again tonight. What a GREAT day of eating I’ve had!! One of the biggest Lenten Lunch Day successes thus far. If you’re looking for some ideas of what to eat on Fridays in Lent, check out this post. Using a random number generator, the winner of the Crofter’s is commenter #12 – Megan from The Oatmeal Diaries!! Congratulations Megan! I know you love Crofter’s already so I’m excited for you to try another jar. Please email me (cbrady3@alumni.nd.edu) your address AND your choice of either the European or the South American variety and I’ll get that out to you. Looks like a great meal for the both of you! I love restaurants that offer great vegetarian options, even if I’m not a vegetarian. You’re lucky to have such a great local place! Ooh your dinner looks amazing especially the pizza! 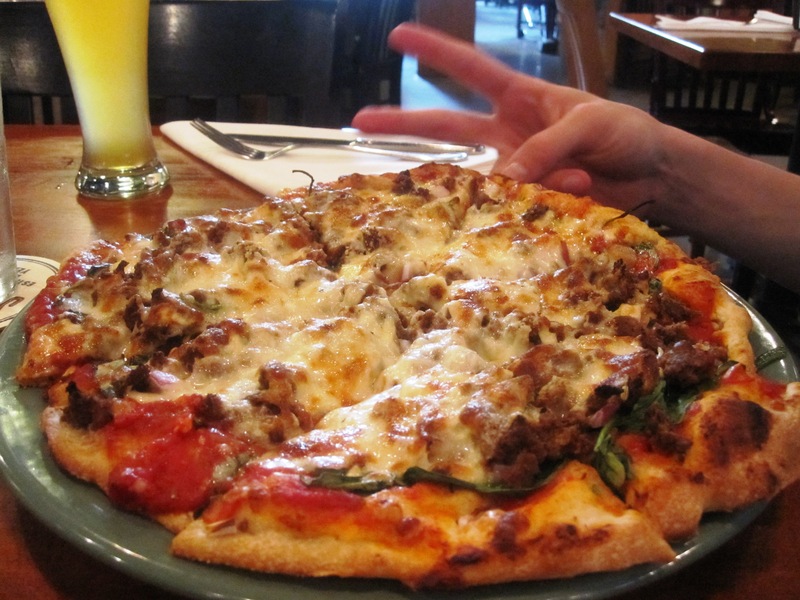 Oh my–that burger and pizza look so, so amazing! DANG that bb burger looks SO GOOD! and HOLY MOLY that pizza is GINORMOUS! YAY! I literally just had some of the Superfruit spread (again) with breakfast. SO good. I will email you asap! Schlafly bottleworks is probably my favorite vegetarian restaurant in St. Louis! I love how so much of it is local. My boss told me about how great the food was, and I doubted it. I’m glad I was mistaken. I love the goat cheese dip appetizer. i can’t BELIEVEEEEEEEEEEE you’re running a marathon this weekend!!!!!!!!!!!!!!!!!!!!!!!!!!!!!!!!! good luck mama you’re gonna kill it! All that food is making me hungry!! yum! oh man, that burger sure does look delicious!